This week's attempted shipment of multiple explosive devices on US airliners was successfully discovered and stopped before the bombs could be triggered. While a potential tragedy was avoided, this latest attempt focused the public's attention on efforts by the airline industry to keep bombs off of airplanes. Most passenger airliners carry both passenger baggage and air cargo. While all passengers and their baggage are screened for explosives and other prohibited items, it may surprise many passengers to find that some air cargo is not screened for explosives prior to being placed on a passenger aircraft. The investigation into the latest bombing attempt is in its very earliest stages, but it appears that at least two explosive devices were shipped from the country of Yemen, and were addressed to synagogues or Jewish community centers in the Chicago area. It is not clear if the packages that contained the devices were screened before being shipped. It is also not clear if the devices were intended to go off during the flight. Both packages were shipped from Yemen to Dubai. One of the packages was intercepted on a FedEx plane that was in Dubai, and the second was discovered on a UPS aircraft after the aircraft had landed at the East Midlands airport in the UK. The two devices, which were hidden within printer toner cartridges, used the same kind of explosive material as was used in the device in the unsuccessful Christmas day 2009 attempted bombing of a Delta aircraft. While the two airlines involved in this week's attempt fly only cargo and not passengers, passenger airliners also carry a significant fraction of the air cargo the comes in to the US from overseas and cargo that is flown on domestic routes. Since, 9/11, the US government and the airline industry have gone to great lengths to keep explosives and other banned items out of air cargo. 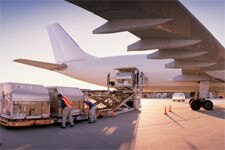 A June 2010 report from the General Accountability Office (GAO-10-446) provides both an overview of the air cargo security process and provides answers to the following air cargo security questions. How much air cargo is shipped in the US each year? According to the GAO report, over 3.65 million tons of air cargo was shipped in the US on passenger flights in 2008, with 42% of that amount coming to the US from overseas. 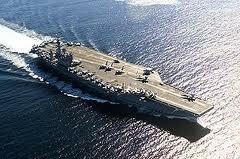 To get a feel for home much air cargo this represents, imagine the size and weight of a fully loaded Nimitz class aircraft carrier, which at over 1,000 feet long and displacing more than 100,000 tons is the largest ship in the US Navy. If all 10 ships in the Navy's arsenal were lined up end to end, they would stretch out for over two miles, but would still be less than one third of the weight of air cargo shipped last year in the US on passenger flights. The GAO also stated that passenger aircraft only accounted for about one sixth of air cargo shipped, so the total shipped each year on passenger and all cargo aircraft would be equal in weight to about 200 aircraft carriers. 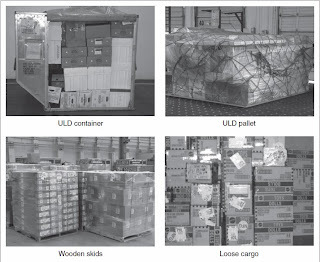 Depending on the cargo and the aircraft, air cargo is typically shipped in unit load devices (ULD) such as a metal container or a cargo pallet, on wooden skids, or as loose cargo. This variety of shipping methods can make scanning cargo for explosives, drugs, improperly packed hazardous materials, and other dangerous items quite difficult. Who is involved in the air cargo process? Key participants in the air cargo shipping process include shippers, for example individuals, retail stores, or manufacturers; freight forwarders who may consolidate and ship cargo from many different shippers; air cargo handling agents who process, load, and unload cargo onto aircraft; and the air carriers that load and transport the cargo. Some shippers may bypass freight forwarders and deliver a shipment directly to an airline or air cargo handling agent. Who is responsible for air cargo security? Transportation Security Administration (TSA) is the primary federal agency responsible for securing the air cargo system. TSA establishes security requirements for domestic and foreign air carriers that transport cargo, and also for domestic freight forwarders. TSA has a staff of inspectors who make sure that air carriers and domestic freight forwarders are in compliance with security requirements. These requirements include measures related to the acceptance, handling, and screening of cargo; training of employees in security and cargo screening procedures; testing for employee proficiency in cargo screening; and access to cargo areas and aircraft. According to TSA, there are currently about 620 Transportation Security Inspectors dedicated to the oversight of air cargo, with about 120 of these inspectors assigned to canine teams. Who does the actual screening of cargo? For US domestic flights or international flights headed to the US, cargo screening may be done by the shipper, by a freight forwarder, the air carrier, or by TSA personnel. Outside the US, additional screening and security checks may be provided by other governments or other organizations. Screening methods include using various kinds of x-ray detectors to screen for explosives, chemical testing of the exterior surface of cargo to detect explosives, using dogs to detect explosives, and physical inspection of the contents of a package or container. 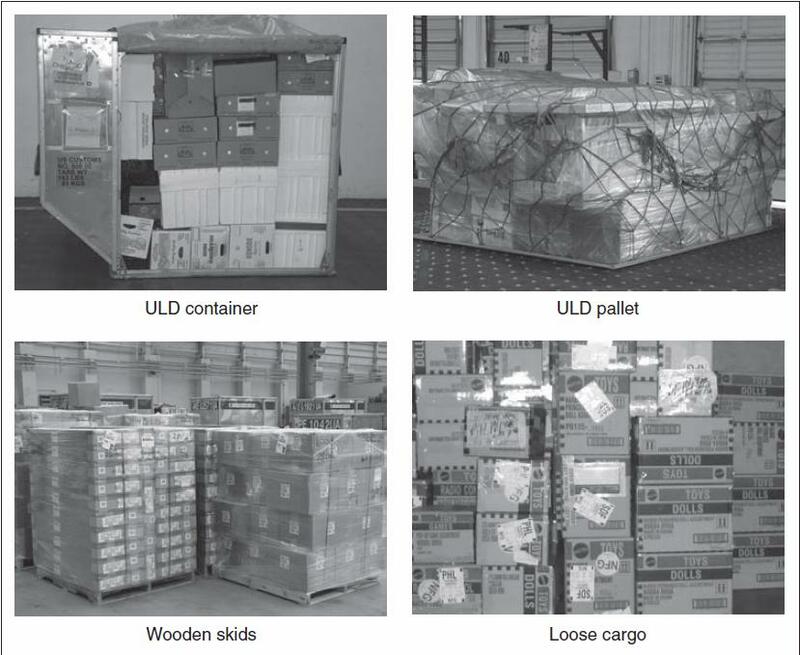 Is all cargo screened or inspected? Currently, not all air cargo on US domestic flights or on flights bound to the US from overseas is required to be screened or physically inspected. For example, cargo that is transferred from an inbound international flight to a domestic flight is not required to be screened. There are also some types of domestic cargo that are exempt from TSA screening, though information on exactly what kind of cargo this represents is a sensitive security matter and that information is not released to the general public. What percentage of cargo is screened? According to the GAO, as of March 2010 about 68% of all cargo (by weight) on domestic US passenger flights was screened. This was less than TSA's target of having 75% screened by March 2010. Since October 2008, TSA has ensured that 100% of all cargo on narrow-bodied passenger aircraft has been screened. These flights account for only about 25% of all cargo shipped on domestic passenger flights. This implies that just over 60% of the cargo on wide-bodied passenger aircraft on domestic flights is currently screened.